Azospirillum spp. represents one of the most studied plant growth promoting bacteria. A meta-analysis was conducted on 59 available articles to evaluate the extent to which Azospirillum may contribute to wheat growth properties. A mean increase of 8.9% in seed yield and 17.8% in aboveground dry weight was found to result from inoculation of wheat with Azospirillum. 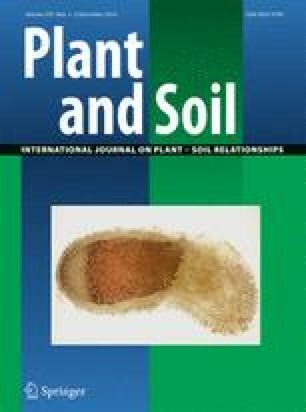 However, key determinants for the plant growth promoting effect were found to be the amount of N fertilization applied–maximum plant growth promoting effect was reported in the absence of N fertilization- and identities of wheat cultivar—Triticum aestivum was superior to Triticum durum-and Azospirillum isolate—Azospirillum lipoferum was more effective than Azospirillum brasilense. Co-inoculation with Azotobacter tended to further increase the growth promoting effect of Azospirillum on seed yield. A weak relationship between plant growth promoting effect on seed yield and aboveground biomass was detected. Inoculation with Azospirillum decreased the shoot:root ratio of wheat in field trials; but for pot trials, a key determinant of the shoot:root effect was the size of the pot used. The authors, thus, raise the scepticism of whether the growth parameters recorded in pot trials are representative of those under field conditions. Results highlight the efficiency of Azospirillum as an inoculant of wheat. The online version of this article (doi: 10.1007/s11104-010-0543-7) contains supplementary material, which is available to authorized users. The authors would like to thank professor D. S. Veresoglou for assistance in collecting the articles and comments to earlier versions of the manuscript. The authors are grateful to two anonymous reviewers for their extremely helpful comments throughout the submission process of the manuscript. Analytical information on statistics that were incorporated in the analyses of variance that are presented in the article. T. durum- A. brasilense other.